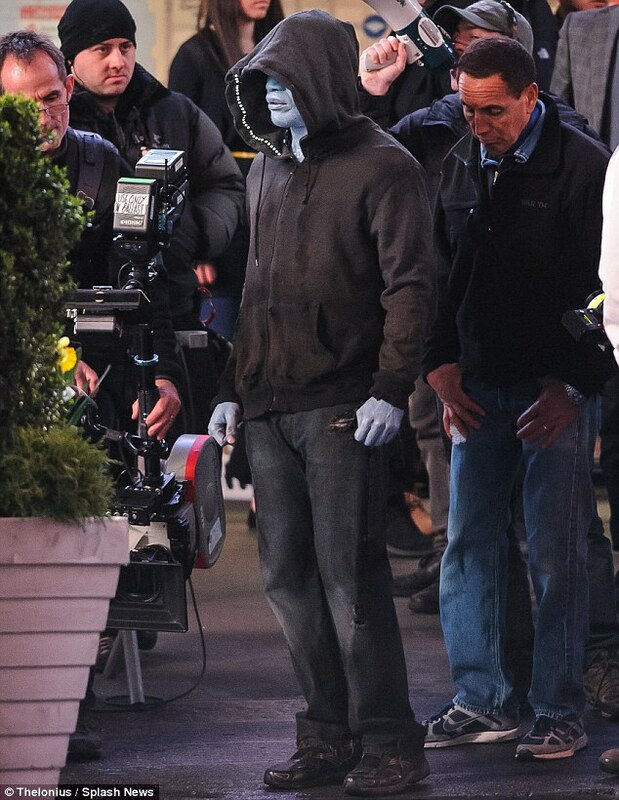 It's still more than a year away, but The Amazing Spider-Man 2 has already been showing us some promising signs why its going to rock the cinemas. 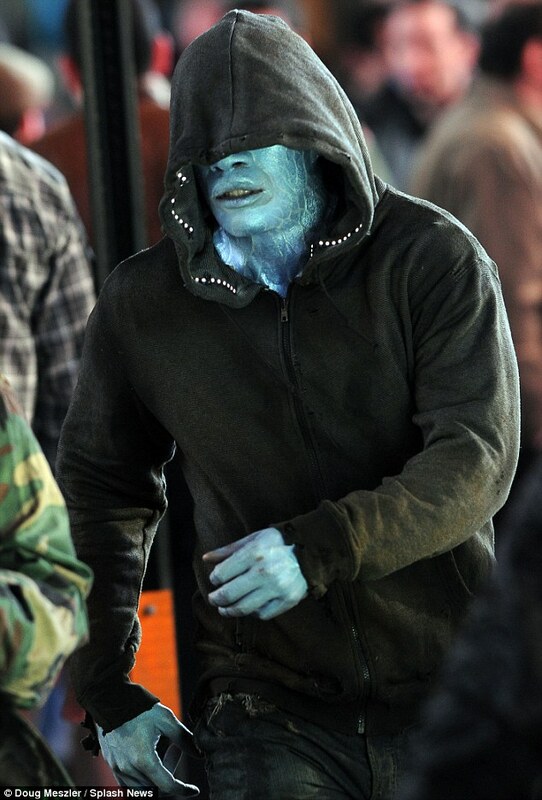 This early on we can almost say that the sequel might be as good, if not better, as the first movie in the reboot. 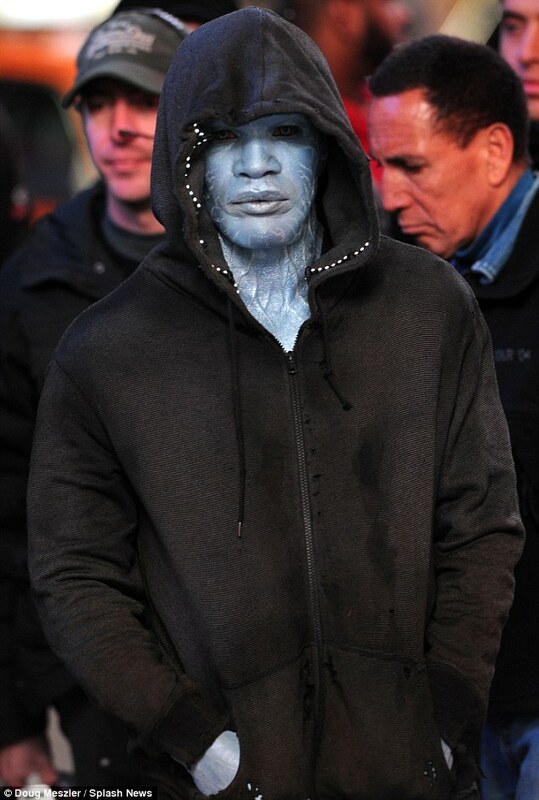 A few paparazzi shots of Jamie Foxx donning the alien looking skin of Electro has surfaced online for your scrutiny. No comparison please! But I can't really stop my self from saying that this dude looks very much like Abe Sapien from Hellboy, or possibly one of the Engineers from Prometheus! The Amazing Spider-Man 2 will hit theaters on May 2, 2014.